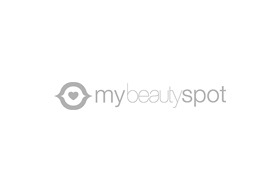 My Beauty Spot is the brainchild of the retail successor, the My Chemist Group. This provides My Beauty Spot with a stable and solid platform to launch into the Health and Beauty sector. The My Chemist connection allows for access to the best fragrance and skincare products from all around the world, drawing upon more than thirty years of retail excellence. My Beauty Spot stocks an extensive range of prestigious products, with prices that cater for everyone's budget. My Beauty Spot only stocks genuine products, hence offering only the highest quality to their customers.